Julia Creet is an Associate Professor of English at York University in Toronto. She teaches memory studies, literary nonfiction and satire. She is the co-editor (with Andreas Kitzmann) of Memory and Migration—multidisciplinary approaches to memory studies (University of Toronto Press 2011, paper 2014) and co-editor (with Sara Horowitz and Amira Dan) of H.G. Adler: Life, Literature, Legacy (Northwestern UP, 2016), winner of the Jewish Thought and Culture Award from the Canadian Jewish Literary Awards. She is also the director and producer of “MUM: A Story of Silence” (38 min 2008), a documentary about a Holocaust survivor who tried to forget and “Data Mining the Deceased” (56 mins 2016, HD), a documentary about the industry of family history. The Genealogical Sublime, a book about the history of genealogy databases, will be published by U. Mass Press in 2019. 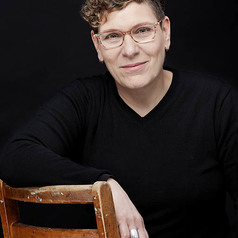 Her nonfiction writing has appeared in The Conversation, The National Post, Reader’s Digest, Exile, Toronto Life, Border/Lines and West Coast Line.